Posted by rogerhollander in Europe, Oregon, Revolution. and its embrace of direct democracy? Europe’s ruling class that bank failures and defaults necessarily engender disastrous economic consequences. How did Iceland get from there to here? And what are the lessons for Europe’s troubled periphery? 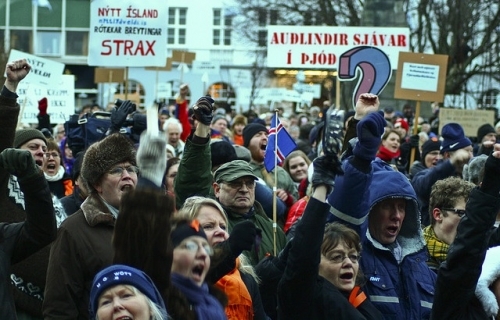 of Iceland overthrew their government and demanded a referendum on the country’s debt. their savings in one of the world’s most over-leveraged banks, Icesave. 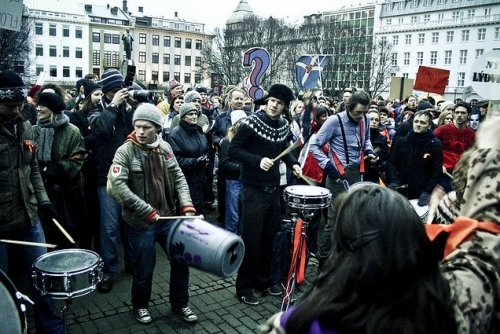 the epic battle between people power and foreign financial interests. economy, forecast to grow 2.25% this year. 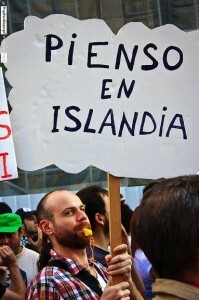 in Spain during the mass protests that broke out there last month. 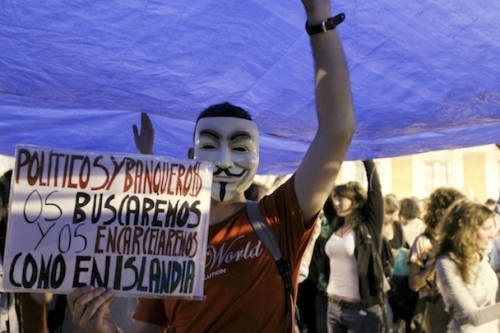 to inspire the indignant protest movement in Greece, which is rapidly picking up steam. 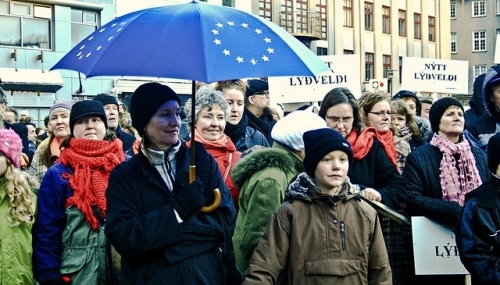 So what are Iceland’s main lessons for Europe’s troubled periphery? the reckless bankers who instigated the crisis in the first place. country’s largest banks collapsed. The government didn’t save them. sector have been arrested and a former prime minister has been formally charged. Treating reckless speculation as a crime is a crucial first step towards real democracy. same) to stem the outflow of capital from the periphery. powerful symbol this new, real democracy. recession, if not outright depression, for years to come. will flee these countries in a desperate search for opportunity. for what? A handful of bankers who refuse to take a haircut? is on its way. No one can stop it now. stunning example of how little our media tells us about the rest of the world. respect to the Euro. At the end of the year Iceland declared bankruptcy. 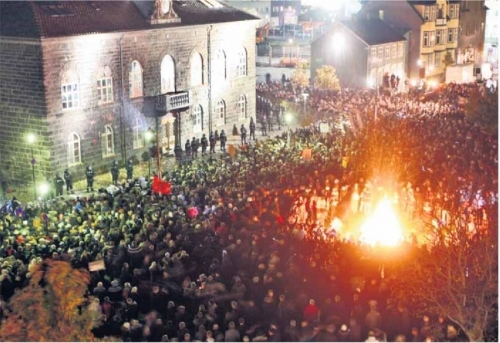 Protests and riots continued, eventually forcing the government to resign. bankers’ debts, and accepted calls for a referendum. 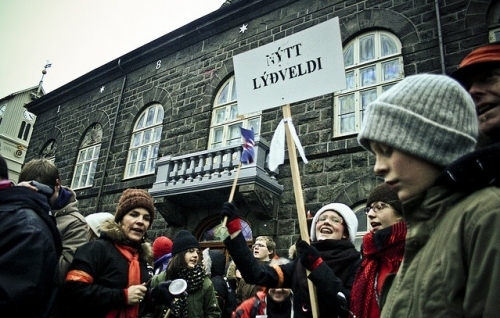 Of course the international community only increased the pressure on Iceland. international community’s conditions, we would become the Cuba of the North. bankers implicated in the crash fled the country. to parliament for approval after the next elections. of Italy, Spain and Portugal are facing the same threat. country stated loud and clear that the people are sovereign. Aug 01, 2011 at 08:47 AM PDT. Posted by rogerhollander in Civil Liberties, Health, Oregon. The new documentary “How to Die in Oregon” opens with footage of Roger Sagner, an elderly man with advanced cancer, demanding that he be given a lethal dose of drugs. His impatience — and absolute lack of ambiguity — is startling. After swallowing a milky concoction of Seconal in one long gulp, Sagner thanks his family and the voters of Oregon “for allowing me the honor of doing myself in,” lies down on a bed under a large picture window, and begins to sing. Watching this documentary (which airs on HBO this Thursday), however, was not. In fact, it took me three separate viewings to get through my advance copy. Given that my mother ended her life after struggling with Parkinson’s for many years, an experience I wrote about in my memoir, “Imperfect Endings,” I was perhaps especially predisposed to find it difficult viewing. But apparently even hardened HBO staffers couldn’t sit through the entire film, and the film’s publicity team at this year’s Sundance was astonished at the reluctance of the media to attend the screening. Although Richardson clearly supports individuals’ rights to end their own lives, he keeps the proselytizing — and the politics — to a minimum. Instead, he gives us a series of fly-on-the-wall scenes with patients, as well as interviews with oncologists, activists and volunteers. 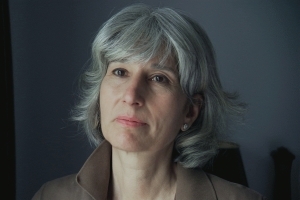 We see how planning for death can involve everything from the mundane (filling prescriptions, giving away one’s clothes and jewelry, even getting a final haircut), to the wrenching and the profound (tearful conversations between family members, and the final recording of a personal eulogy by an 84-year-old terminally ill broadcaster named Ray Carnay). And thankfully, we see people who, despite being in pain and close to the end, have maintained a sense of self — and even a sense of humor, although largely of the gallows variety. In short, she plans to get out while the getting is good, an attitude shared by my mother whose need for control made the Parkinson’s endgame intolerable. But unlike my family, in which my sisters and I debated about whether my mother was actually serious about ending her life, and tried to talk her out of it, the Curtis family is remarkably unified in their support. Her son, “T,” does express some trepidation about the death itself — something I could relate to — but none of them challenges her decision. As death circles closer, Cody openly shares her shifting emotions, often moving from tears to laughter in the space of a sentence. By contrast, my mother never cried, never expressed any doubt, and never asked us how we felt about being there when she ended her life: She maintained a stoic, unsentimental attitude right to the end. And while I’ve always chalked this up to emotional reticence on her part, when Cody tells the filmmaker, “I want to model for my children a kind of grace and acceptance because I’m really scared of being a coward at the end,” I wondered if my mother was also protecting us from the burden of her ambivalence. Of course, Cody is anything but a coward in the end and her last words — “This is so easy … I wish people knew how easy it was” – echoes Sagner’s in the beginning of the film. Although this bookending of sentiments may have been coincidental, it does highlight the film’s one-sidedness. With one notable exception, there are very few dissenting voices in “How to Die in Oregon.” That exception is Randy Stroup, a 53-year-old uninsured Oregonian with prostate cancer who was denied coverage for additional treatment by the state. In a letter to Stroup, they suggested he look into doctor-assisted suicide instead. Although the state reversed its decision after he went public, his understandable bitterness – “They’ll pay to kill me, but not to help me!” — provides a disturbing counterpoint to the rest of the film. Having never understood the argument that laws like the one in Oregon might imperil the uninsured and disadvantaged, I found Stroup’s story eye-opening and I would have liked to hear more of a rebuttal or discussion. Also, given that assisted suicide is legal in only three states in this country and we have right-wing pundits shouting about “death panels” every time healthcare reform comes up, it would have been useful to get a better sense of the larger debate. As a strong supporter of the Death With Dignity laws, I am reluctant to give those who oppose them more of a platform, but I think the film would have benefited from their inclusion. And yet, Richardson’s decision to eschew overt politics — both pro and con — in “How to Die in Oregon” allows him to do something more quietly radical: to show real people talking honestly with each other about their own impending deaths. In this death-phobic society where doctors offer sure-to-fail, last-ditch treatments instead of gently telling their patients to go home and prepare for death, Richardson’s film is a much-needed antidote.